The 2018 NAB show is wrapping up today in Las Vegas. Our President Brian Reed and one of our many audio engineer’s Alejandra Leon were able to attend this convention. The NAB Show is the largest event for media, entertainment, and technology with over one hundred thousand attendees from all over the world. During the convention Brian and Aly stopped by and said hello to our friends from Avid, Dolby, Nugen, Genelec, Izotope, Source Elements, Waves, Focusrite, and many others. An array of companies showcased their latest technological innovations they are currently developing! 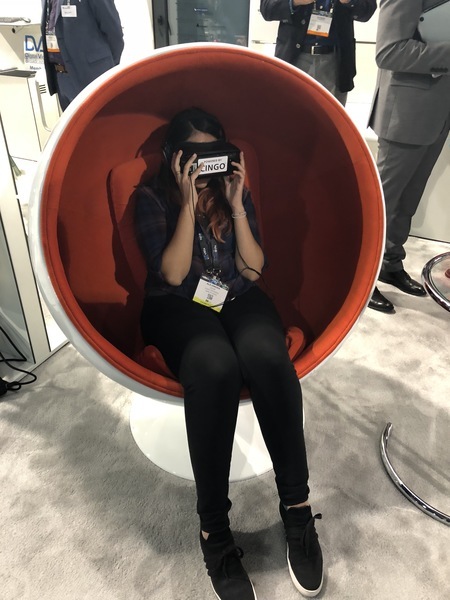 AR & VR was a hot topic as leading companies such as Google, Samsung, Fraunhofer, and B<>Com introduced their latest software. Aly’s favorite part of the convention was learning and being able to see all of the IP based technology, such as DAD (NTP Technology), Dante (Audinate), and Focusrite. Another memorable moment from the BAM team was interacting with this newly built Cinebot camera named Bolt from Nikon. Check out this video below! BAM records VO for Netflix's new Boss Baby series! BAM Anchors onto Pacifico Beer's New Campaign!